Ah, fruit yoghurt, how do we love you! Creamy, sweet with that little bit of tartness…You also masquerade really well as a health food. OK, sorry to burst your bubble, but have you read the label on fruit yoghurt? Fruit yoghurt or yoghurt drinks or shots often contain artificial coloring, a high quantity of sugar or artificial sweeteners and thickeners like gelatin, corn starch, milk protein concentrate. A better alternative is of course, natural, full-fat plain yoghurt without added sugars or artificial sweeteners. You can always add in your own fruit if you want. 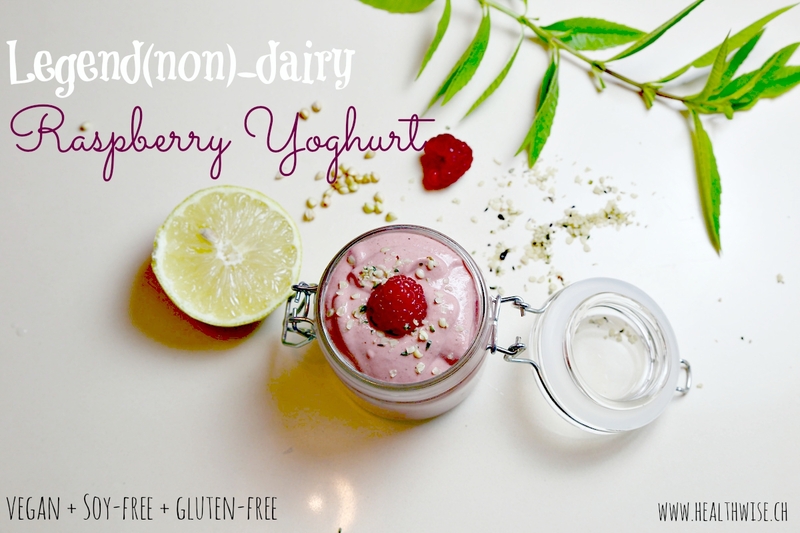 OR if you want a completely dairy free alternative which is a meal in itself yet tastes surprisingly similar to raspberry yoghurt, try Legend(non)-dairy Raspberry Yoghurt! 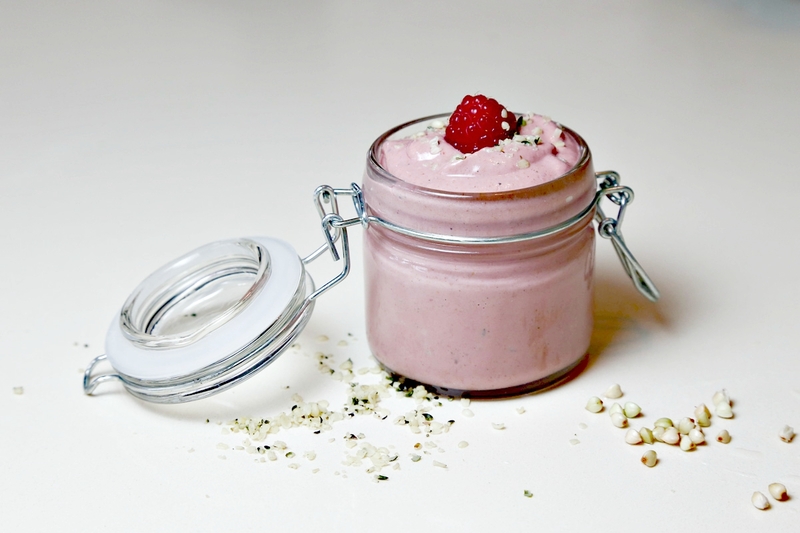 Legend(non)-dairy Raspberry Yoghurt is creamy thanks to the soaked, uncooked buckwheat and hemp seeds. It’s sweet thanks to the raspberries. And it has that little bit of tartness thanks to the lemon. Once you have soaked everything in the evening, it takes only 5 minutes to blend everything in the morning and can keep for up to two days in the fridge. And because of the mix of healthy fats, protein and fiber – it is filling enough to be a meal in itself. Despite the name, buckwheat does not contain wheat and is actually a seed, not a grain. It is related to rhubarb and has a distinct nutty flavor that I absolutely love. Buckwheat is one of my favorite gluten-free foods. It is super versatile as you will see from this recipe, and doesn’t actually have to be cooked. It is rich in fiber and minerals such as manganese, zinc, magnesium and copper. It is also rich in amino acids, including tryptophan – the precursor to serotonin, the feel good hormone. 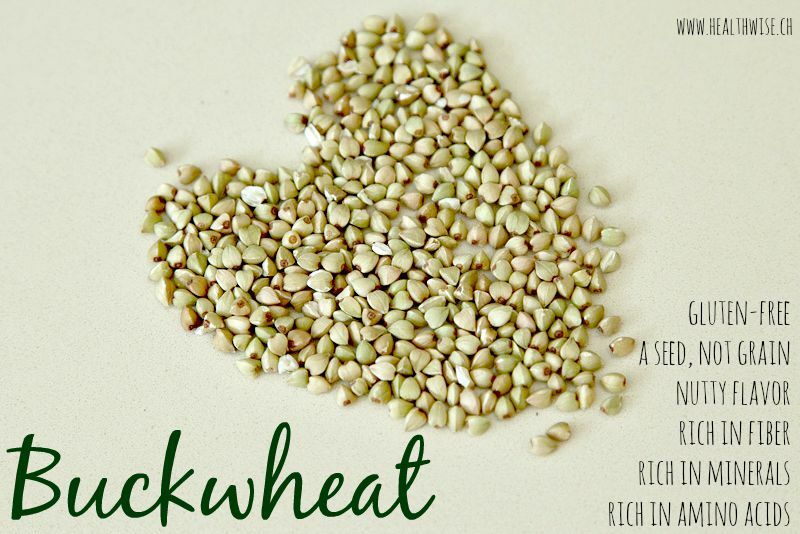 You can buy buckwheat in most supermarkets and also use it cooked as an alternative to rice or quinoa. The other ingredient in this recipe is hemp seeds, which I wrote about here. You can find them in most organic stores, just make sure you buy them raw and unshelled for this recipe. They are also sometimes called hemp hearts. I usually buy these ones – you can use code WIV403 to get $5-10 off your first order. For the lemon, you can either use the juice or if your blender can handle it, wash an organic lemon well and put half of it whole it the mix. Most of the vitamins are in the skin and it adds even more taste this way! Do you love yoghurt? Would you be willing to try this alternative?